With his own victory, and those by other police union-backed candidates in Santa Ana City Council races, Mayor Miguel Pulido appears to have regained much of the power he lost in the 2012 “Santa Ana Spring” election. Is This the Election Miguel Pulido Makes His Comeback at Santa Ana City Hall? The longtime Santa Ana mayor has put together a law-and-order coalition in an effort to take back control of the City Council. To succeed, he and his police-union backers must unseat incumbent councilmen Vincent Sarmiento and Roman Reyna. Some who attended an election forum Tuesday argued that money from the city’s police budget should be redirected toward expanding opportunities for youth. Others said there are already too few cops on the street. Miguel Pulido is now more than a week late in filing his state-mandated campaign disclosures and remains the only city council candidate who has yet to file. The mayor has a checkered history when it comes to financial disclosures. Mayor Miguel Pulido and community activist Benjamin Vazquez clashed Wednesday night during a debate that showcased their sharply different visions for the city. 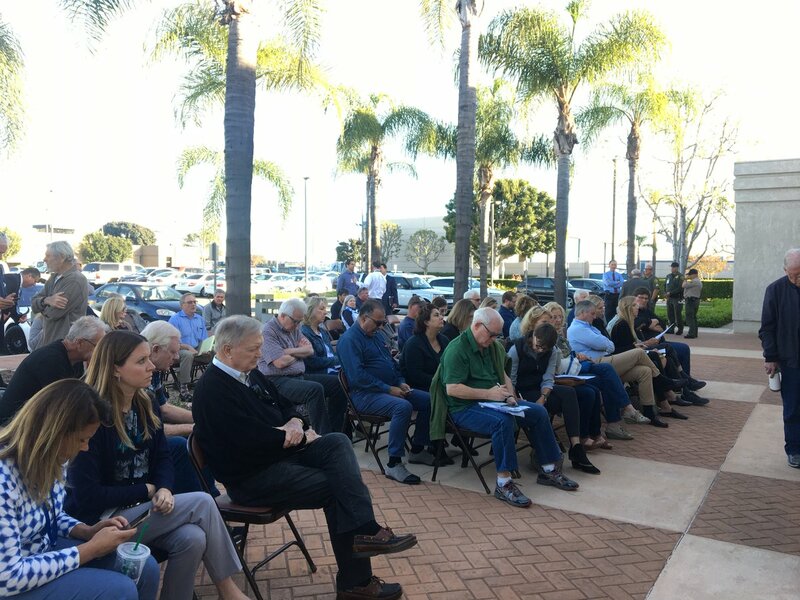 The gathering featured some of Santa Ana’s most influential politicos and served as a window into how various factions in the city are battling for control of its most important institutions. The “performance bonuses” have drawn the ire of the city’s rank-and-file workers, as well as Councilwoman Michele Martinez. Cavazos points out that lower-level workers have benefits – like overtime – that executives don’t. The Santa Ana City Council Tuesday night approved a $229 million 2016-17 budget that includes funding for hiring more police officers, park improvements and extended hours for community centers, among other things. Tuesday, the Santa Ana City Council is scheduled to decide whether to give the private Catholic high school $2.5 million from the city’s general fund or reserves to pay for a parking garage. Many in the community are against the proposal. The Willard Task Force for Neighborhood Transformation is beginning to enjoy the fruits of its efforts to build a stronger sense of community in an underserved neighborhood.